Kodak is digging deep into a legacy of innovation in the photography business and to see if its remaining talent in optics and chemistry can be turned into new money in other industries. Of the roughly 200 buildings that once stood on the 1,300-acre campus of Eastman Kodak’s business park in Rochester, N.Y., 80 have been demolished and 59 others sold off. Terry Taber, bespectacled, 60, and a loyal Kodak employee of 34 years, still works in one of the remaining Kodak structures, rubble from demolition not far from its doors. Taber oversees research and development at Kodak. Many people might be surprised to know that Kodak is still in business, much less employing someone in the hopeful-sounding enterprise of developing new technology ideas. But if the film company, which emerged from bankruptcy in 2013, has any light in its future, Taber is likely to have something to do with it. 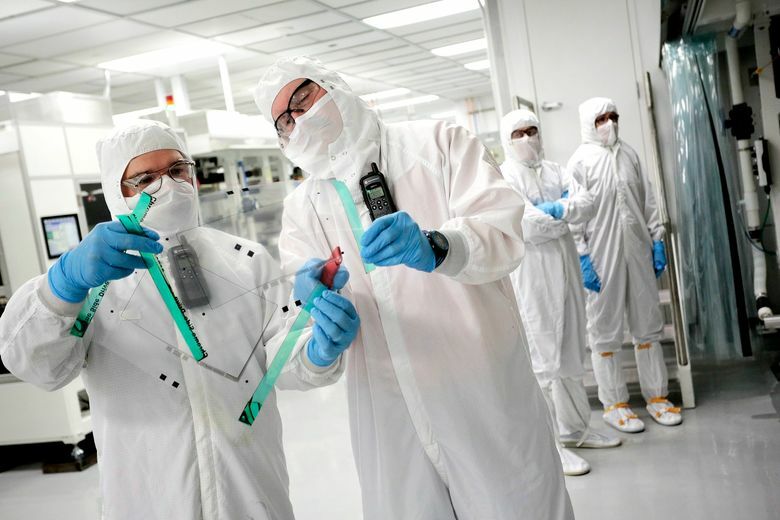 In a warren of basement labs, some of the 300 scientists and engineers who work for Taber are studying nanoparticle wonder inks, cheap sensors that can be embedded in packaging to indicate whether meats or medicines have spoiled, and touch screens that could make smartphones cheaper. Much of this is old stuff, left over from the company’s glory days. But Taber’s boss hopes that somewhere in those projects there might be a nugget of gold. “I’m mining the history of this company for its underlying technologies,” said Jeff Clarke, 53, who became Kodak’s chief executive last year. Clarke has no delusions that Kodak could bring those technologies to market on its own; it will need corporate partners to make actual products. “We’ll never be able to prosecute the value of our intellectual property with Kodak-branded sales,” he said in an office in the same tower where George Eastman once looked out on his global tech empire. What happens after a tech company is left for dead but the people left behind refuse to give up the fight? At Kodak the answer is to dig deep into a legacy of innovation in the photography business and see if its remaining talent in optics and chemistry can be turned into new money in other industries. Once a household name as big in its day as Apple and Microsoft have been for later generations, Kodak was part of everyday life, its film — sold in a yellow box — recording births, vacations, weddings. And then Kodak became a cautionary tale about what happens when a tech company is slow to change. For Kodak, the advent of digital photography was ruinous. Today it has $2 billion in annual sales, compared with $19 billion in 1990 when consumer film was king. It now has 8,000 employees worldwide; it had 145,000 at its peak. Since emerging from bankruptcy, the company has mostly served niche film markets — there are still a few die-hard directors who refuse to shoot digital — and provides equipment for printing newspapers, on packaging and the like. Much of its revenue comes from legacy businesses. For Kodak’s new chief executive, along with veterans like Taber, the key to survival is in its research legacy, thousands of patents and a coterie of scientists who are making new discoveries. At the research lab, a laser prints a 256-count mesh of silver wires four one-thousandths of an inch across, thinner than a credit card, in one second. That technology could be the basis of a new kind of phone screen, cheaper and more useful than the touch screen. It is work that Taber and his veteran team are clearly proud of. But look closer. That laser runs on Windows 2000, an operating system Microsoft basically discontinued a decade back. And most of the security-badge photos carried by employees have ghostly stripes, a mark from decades of swiping the office security panels. If any future is coming for Kodak, it had better hurry up. Clarke is impatient. When he arrived, he says, he was shocked that the company had done so little to capitalize on the work of its scientists. Kodak’s technology for packaging sensors, he noted, was developed years ago. No one figured out what to do with it. “We missed enormous opportunities,” he said. Kodak has a market capitalization of about $800 million. He noted that GoPro, a maker of cameras for extreme sports, is worth more than six times as much. Clarke was raised in Hamilton, N.Y., not far from Rochester, and got an economics degree from the State University of New York at Geneseo. He has seen the industry through several periods of upheaval. Clarke started at the Digital Equipment Corp. DEC eventually merged with Compaq Computer, a PC maker, in 1998. When Compaq then merged with Hewlett-Packard in 2002, Clarke, by then a well-regarded financial manager, was one of two people in charge of the merger and of shedding 15,000 of 145,000 combined employees. After the unceremonious departure from HP, Clarke became something of a corporate mechanic, shaping up companies with layoffs and other cost-cutting, and working closely with private equity and venture investors. 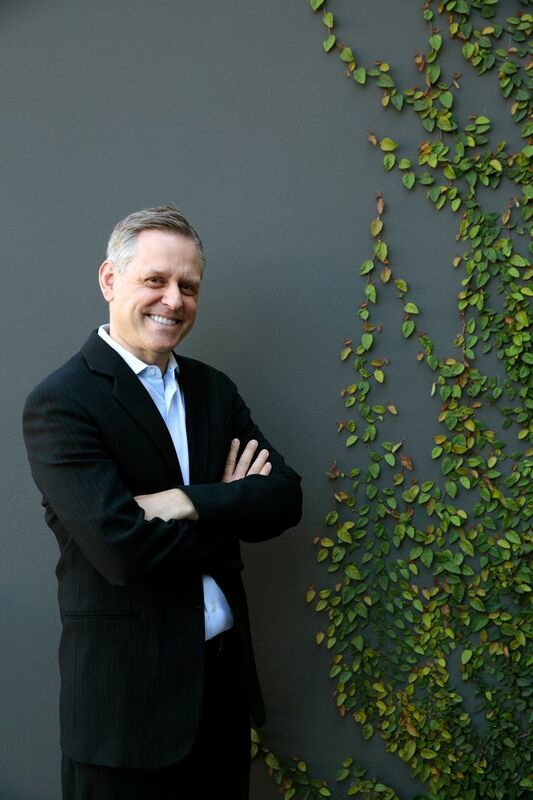 He became chief executive of Travelport just before it was acquired by the Blackstone Group, and managed the initial public offering of Orbitz, which Travelport owned. He came to Kodak last March, having been contacted by a headhunter retained by the private equity groups that bought most of Kodak’s debt. Kodak reappeared on the public markets in September 2013, though the bulk of the company is still owned by private equity and investment firms, including BlueMountain Capital Management, Franklin Resources and Serengeti Asset Management. “We invested in Kodak because it was, and is, an attractive, asset-rich, operational turnaround story with exciting technologies centered on digital printing,” Jody LaNasa, the founder and managing partner of Serengeti, wrote in an email. With about $750 million in cash, a 2014 net loss of $114 million and possibly more losses this year, the company needs to find partners to help develop and sell what Clarke thinks Kodak can offer. Among his partners for future business is Bobst, a $1.3 billion Swiss company that makes machinery to manufacture cardboard boxes. Bobst is interested in using Kodak’s digital printing technology to personalize packaging, said Jean-Pascal Bobst, the chief executive. “It could be revolutionary for corrugated boxes.” Other partners include a printing company in Utah and a machinery company in Rochester that is owned by a refugee from the old Kodak and is working on the touch screens. Much of the technology, like the packaging sensors, existed inside Kodak long before Clarke arrived. Last summer, Clarke created a new division, Kodak Technology Solutions, to incubate more businesses. Kodak was a prototype tech company. George Eastman built and defined Kodak. In Rochester, people still refer to Eastman by his first name, the way the names “Bill” and “Steve” have special meaning in Seattle and Silicon Valley. Mostly residents talk about what George might have done to stop Kodak’s decline. A micromanager to rival Apple’s Steve Jobs, Eastman found time in the middle of an antitrust investigation to badger underlings about Kodak’s rubber bands. He hired detectives to check on the loyalty of his salesmen. He also gave workers a theater that showed free movies to each of the three daily work shifts. Eastman’s paternalistic legacy lasted decades after his suicide. Kodak’s yellow-and-red logo was on free backpacks at the Rochester Little League, free floats at the town pool, free lunchboxes and tote bags. Unlike Google, Kodak didn’t transport employees on private buses. People bought cars using guaranteed annual bonuses. Rochester today is a much diminished place. According to the Census Bureau, median household income is about $30,900, about half the overall New York state level, and the FBI says the murder rate is about five times that of New York City. “We’ve had challenges for 15 years,” said Lovely A. Warren, Rochester’s mayor. Kodak tried to change and grow. It diversified into pharmaceuticals, paying $5.1 billion for Sterling Drug in 1988. Kodak’s researchers invented digital photography and put the technology in professional cameras in the 1990s. There were plans to move to digital consumer cameras, but the cash Kodak made on traditional photography made it complacent. There always seemed to be time. By 2001, even before smartphone cameras, film sales started to fall 20 to 30 percent every year. A huge expenditure to get Kodak into home printing, a last bid for the consumer, failed. Clarke isn’t pursuing anything so ambitious. And while Kodak was synonymous with Rochester for decades, the new CEO lives across the country in San Francisco, where he stayed after the HP merger. While he has appeared at some local events, he has yet to meet Rochester’s mayor and rarely stays in town more than a few nights at a time. Few see him in the traditional Kodak mold, an executive who will be around for decades. 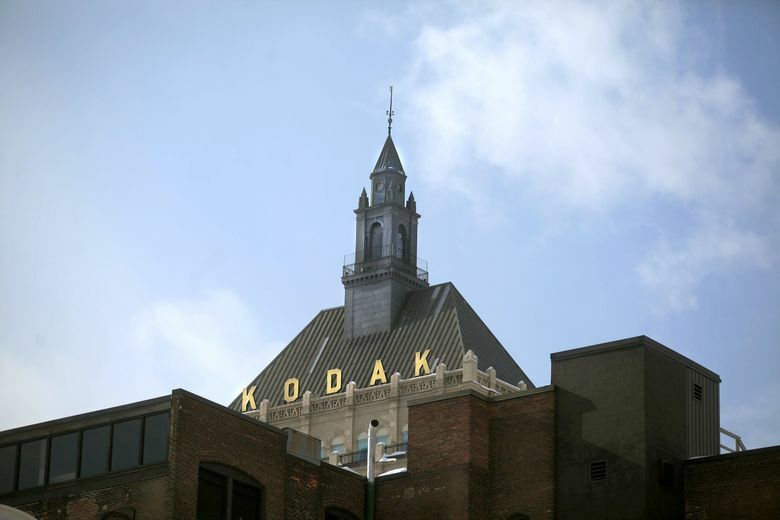 Spend much time around Kodak, and the company’s faded glory is apparent. Clarke emphasizes the power that history still gives the Kodak brand. But the odds are stacked against his salvage job. In 2013, Kodak sold 1,100 patents related to digital-image capture to a group of 12 companies, including Apple, Samsung and Facebook, for $527 million. Kodak retained the same access to the patents as the bidders, should it wish to compete in, say, photography once again. And it kept about 7,000 other patents, largely connected to the chemistry and physics of creating images, which the market sees as having relatively little value. Commercial film is a dwindling business. The 11.4 billion linear feet of film Kodak manufactured as late as 2007, enough to circle the Earth about 88 times, has shrunk 96 percent. In July, just three months after he took over, Clarke moved to retain part of the past. Supported by directors such as Quentin Tarantino and J.J. Abrams, he reached an agreement with major Hollywood studios to continue buying Kodak movie film for several years. The deal was formalized in February. More important to Clarke are the ways the past, in terms of both intellectual property and Kodak’s manufacturing processes, can be adapted. After initial preparation in the commercial film building, a short drive from R&D, the touch screens get their silver crosshatches by exposure to light. That process resembles the way images appear on film, and it uses machines that resemble giant versions of a camera and darkroom. The kind of printing at which Kodak excels can spin out newspapers at a blinding rate, or create customized beer boxes with team logos for big games. The digital imaging roots are in things like coatings, stretching as far back as Kodak’s business developing people’s mailed-in snapshots. The ink particles for superhigh-resolution printing are as small as one one-thousandth the width of a human hair. Those come out of the failed and expensive venture into consumer printing. Some people thanked him for the candor, after years of promises that this cut would be the last. In December, Clarke made good on his word, with more restructuring and layoffs. There is, indeed, no sign that the changes will stop coming.